When it comes to growing technologies, there is a lot from which we need to be alert from app development companies. As per the report from Sensor Tower Intelligence data, US spend on iPhone is an average of $21 or more in-app purchase and premium apps during 2018 as compared to 2017 for a total of $79 per active device. Well, all these numbers don't include spending in e-commerce apps like Amazon, Uber, and other applications where the App Store does not process purchases. Be it large business or entrepreneur one should know how spending has increased over every year and grew among the top grossing categories of an application on the store. Average of app spending on U.S iPhone has grown year over year from 2017 to 2018. So, the average increased by 23% to $47 and then $58. Even the data shows that it was slightly less than 42% growth on average. Since 2015, it has grown 13% with a compound annual growth rate (CAGR) of 33.8%. Therefore we can say that the average in-app spending has been increasing since 2015 even the number of opportunities to come if you have an idea which is depending on the iPhone. So, let's have a look on top mobile app categories by average in-app spending per iPhone. Games – It is the most popular mobile app category in terms of total amount spends on average. Entertainment – Entertainment app category saw its device growing by 82% which has also ranked on second largest in terms of average spending per device as compared to last year which is 2018. Music and social networking – Music and social networking are the other two mobile app categories which have grown 22% and also ranked on 3 and 4 respectively. Lifestyle – Given category is one of the most popular categories which has grown 86%. So, as a tech entrepreneur if you want to focus on entertainment app category including apps similar to Netflix, Hulu or HBO, then you need to check out common feature which is mandatory to consider during on-demand video streaming apps development. User Accounts: One of the most vital feature to consider while making user profile it helps end user to fill their personal information to create their profile where you can also allow them to edit their personal information like email, address, passwords, and notification. Besides, this also helps to track user favorites in terms of series, movies, genres, and music. So creating an on-demand video streaming apps like Hulu user profile is one of the crucial ones. Search Content: Search content is the foremost thing when it comes to entertainment apps, and it is a most common feature to allow end users to search for a wide range of content in term of searching movies, series shows, etc. Therefore entertainment is one of the foremost app categories which you as an entrepreneur can consider to begin in terms of creating on-demand video streaming. Live Streaming: It is one of the prime features whether you want to create live streaming apps or to watch videos online. Live streaming enables your end users to watch videos on a real-time basis that too without any disturbance. It also helps your end users to show their activities simultaneously. Nevertheless, at first you may feel this feature basic, but it is one of the essential ones while creating on-demand video streaming apps like Netflix or Hulu. Multi-lingual Support: It plays a significant role when you have to target a broad audience from multiple regions. So if you are planning to create an on-demand live streaming app like Netflix or HBO, then this feature is all important to consider with the help of this feature users can see movies or series in different language mode. Payments: Be it large business or entrepreneur payment is the essential part for each of them, so when it comes to talk about live streaming, iOS app development payment helps to complete the process of paid subscription. Social Feature: In this technological era, you need to give freedom to your end users to share what their liking or disliking on-demand video streaming apps like Hulu and HBO while watching the videos, series or shows. You should also allow your users to rate and comment on the videos, which they stream. So, for wrapping up above mentioned are the top mobile app categories which have been growing among iPhone users. Additionally, you have also seen common features such as entertainment apps like Netflix, HBO, and Hulu. If you have an app idea which is based on the above categories, then you can cross-verify it with any iPhone app development company. 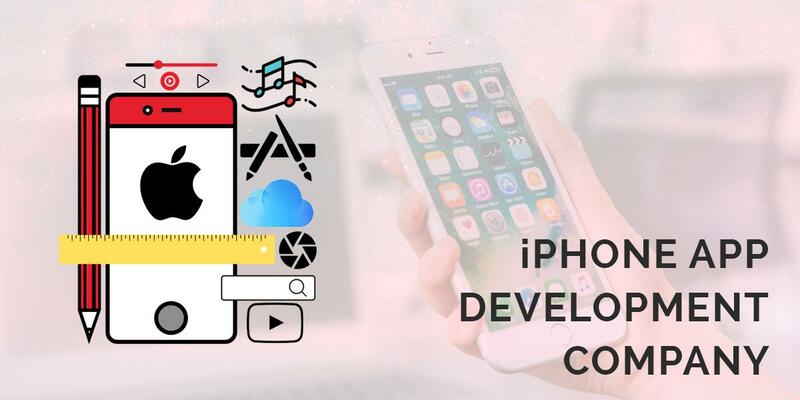 Tags: APP DEVELOPMENT COMPANIES, IOS APP DEVELOPMENT, IPHONE APP DEVELOPMENT, IPHONE APP DEVELOPMENT COMPANY, MOBILE APP DEVELOPMENT, MOBILE APPLICATION DEVELOPMENT.